Gas chromatography is the most commonly used method for gas quality measurement. The gas quality data produced by a gas chromatograph (GC) when combined with the flow data determines the financial value of the gas. However, the theoretical details of the technique are not generally understood by the industry. Therefore it is important that technicians and managers have a clear understanding of gas measurement as well as being able to identify and resolve issues. 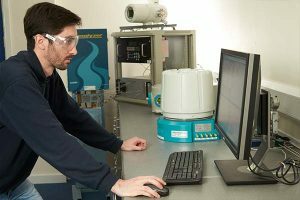 This course is for: technicians, engineers and managers working with process or laboratory gas chromatographs who require a more detailed understanding of the theory and practice of how and why gas quality is measured and what is considered best practice. Laboratory or Process Gas Chromatography? The course can be tailored to suit the requirements of technicians and engineers who use process GCs or scientists who use laboratory GCs. For this two-day course, EffecTech has a range of the gas chromatographs most commonly used onsite and in laboratories. Students will gain hands-on practical experience in their use, calibration and maintenance. Theoretical aspects of Gas Chromatography and the calculation of physical properties will be covered. All participants will be asked to complete a short questionnaire detailing their previous GC training and experience in advance so that the course materials can be matched with their knowledge level.